Clash of Clans is the ultimate mobile adaptation of my childhood obsession, Age of Empires and to be brutally honest the social component of the game makes it way better and for those of you who do not have access to mobile devices powered by Android or iOS, we’ve some good news for you. 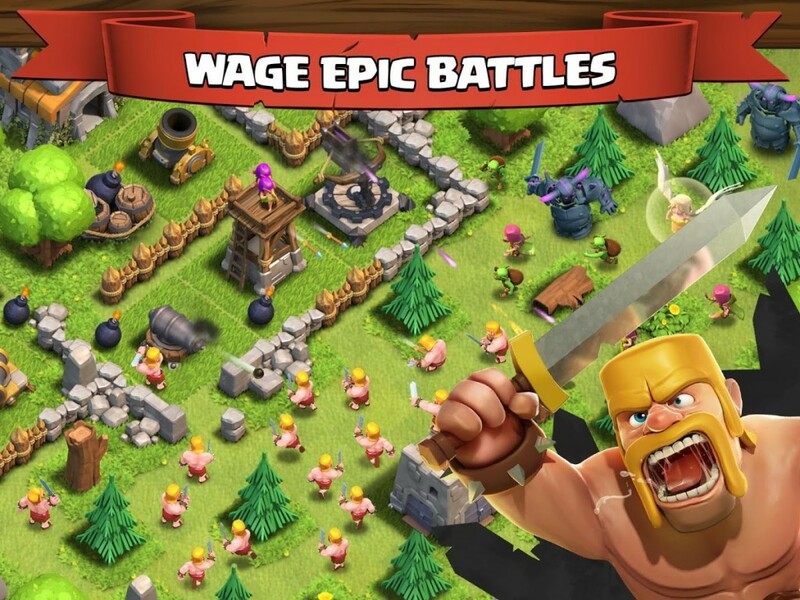 You can download and install Clash of Clans hack for PC and join in the adventure. We’ll be using the android emulator called Bluestacks to download Clash of clans on your computer. We’ve already covered how to download whatsapp for pc using the same method. Here’s how you download Clash of Clans on your PC. 1. Download Bluestacks. You can use the direct link given here or do a quick Google search for bluestacks and download the Windows Version. 2. Install the application and make sure you run an antivirus check, just in case you downloaded from a wrong source. 3. Once installed, you need to start bluestacks and sign up for a Google play store account using your google account and enable app Sync. 4. Once signed in, click on search and find clash of clans. 5. Now you can download, install and run clash of clans on your PC just you would do on your android phone.